PAUL Vautin has finally opened up on his shock termination from Channel 9's The Footy Show. The popular rugby league TV star made an impromptu return to The Footy Show on Thursday night as Channel 9's broadcast crossed from its live coverage of Brisbane's win over the Eels to the popular rugby league panel show which was also staged at Channel 9's Suncorp Stadium studio. However, Vautin has made clear it is a one-off. 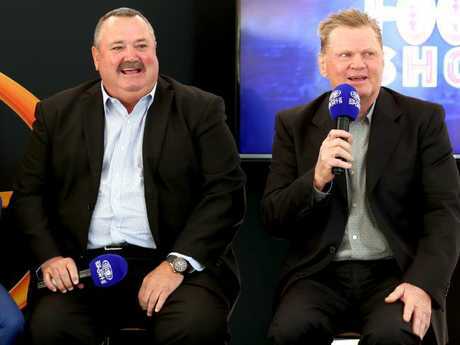 Vautin penned a column for Wide World of Sports and also delivered a four-minute farewell speech on Thursday night, "signing off" from the show he helped build. The 58-year-old was reportedly offered an opportunity to return as host during Erin Molan's pregnancy leave, but knocked it back because he was "dirty" about being sacked in October last year while on holidays overseas. 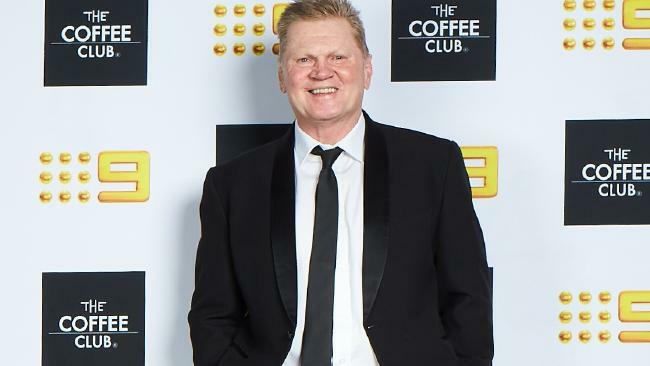 Vautin made an emotional farewell to the Thursday night show, addressing his "shock and disappointment" and getting chopped out of the blue as the show was set to head into its 25th season in 2018. 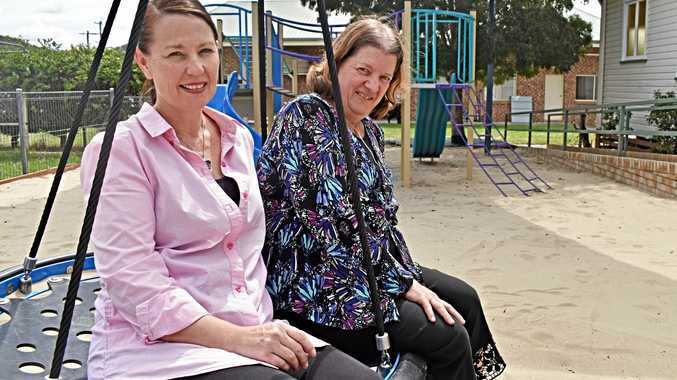 "I got relieved of my duties in October last year which was a bit of a shock and disappointment," Vautin wrote. "But in this world you've got to put the big boy pants on and move on, and actually I'm extremely happy now being back in the commentary box and doing a bit of work with Rabs (Ray Warren) and Ray (Hadley) and all the boys, Joey and Sterlo. It's good to be back at the local grounds, the grassroots of rugby league and enjoying myself. "I'm here to express my gratitude at being allowed to host the NRL Footy Show for the last 24 years. I think it's one of the greatest television shows in the history of television and I'm so proud to have been involved in it." In an extensive summary of the show's many transformations, Vautin thanked many of his colleagues, including original co-host Peter Sterling, Ray Hadley, Steve Roach, Greg Ritchie, Matthew Johns, Paul Harragon, Beau Ryan, Michael Slater and Mario Fenech. He also opened up on headaches with the show's producers. "There's so many people to thank for that. First up, all the executive producers of the show," he wrote. "I had a few head butts with them all but we also laughed a lot. "I'm proud of the fact that the show won 11 Logies including the last five in a row as the best sports show in Australia, I'm proud of the fact that the show is still on air, the show is still going in its 25th year. "I'm proud of the fact that I made a lot of friends and I'm also proud that when everyone came on I like to think they walked off thinking, 'That was fun, I'd love to do that again', and I hoped you laughed with me. Neither of them saw the bullet coming. "Thanks for watching. That's a sign out from me." Vautin also wished Molan nothing but success when she returns to the host's chair. The former Manly star's refusal to return as temporary host during Molan's leave this year resulted in Channel 9 appointing popular sports presenter James Bracey as host of the Thursday night Footy Show alongside a beefed up role for Sterling. Vautin's axe from the show and a scaled-back production has resulted in another year of struggles in the ratings for the show in its late-night format running behind the live Thursday night NRL. 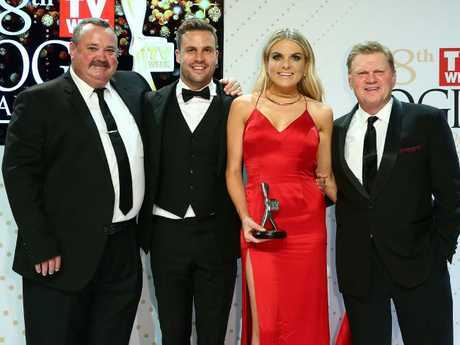 It led to claims of a viewers backlash over the decision to replace Vautin with Molan, but Channel 9 sport bosses have previously declared they are comfortable with the show's ratings slump. Bracey recently praised Molan, saying he hoped he could be a "good bench player" until she comes back to TV. "Erin does such a fantastic job in her role as host, and I hope I can be a good bench player until she's ready to return," Bracey said. "The Footy Show has a rich history of success over its quarter of a century on the air. Nine executives have faced continued calls from disappointed viewers to 'Bring Back the Fat' as the NRL Footy Show has suffered a ratings plunge.